Superheroes are big business. Captain America: Civil War, which came out on DVD and Blu-Ray this week, is currently the highest grossing movie of 2016, both Avengers movies made over $1 billion at the worldwide box office, and even less well-reviewed outings like Batman vs Superman and Suicide Squad earned insane amounts of money. A surprise entry at the bottom of our list, the Man of Steel’s box office power has been limited by lower box office figures for his older movies and less-than-stellar reviews for his newer outings (as well as Superman IV!). Still, £1.9 billion is nothing to be ashamed of! Despite possessing the best sideburns in the biz, Wolverine creeps in at number 8. Like Superman, Wolverine suffers from his older movies not grossing as much as modern superhero films. It’s telling that his highest grossing movie is also his newest, Days of Future Past (not including cameos). Hulk smashes his way to 7th even though his two solo efforts aren’t considered classics of the genre – although they’re both better than people remember, especially the 2008 film with Edward Norton. It’s his appearances in The Avengers movies that bump his figures up to an impressive £2.5 billion. Everyone’s favourite son of Asgard is a big money-maker. Thor also benefits from The Avengers bump but his solo efforts haven’t done too badly either, with Thor pulling in £335m and The Dark World oh-so-close to earning over £500m worldwide. Thor could still end up near the top next year if Ragnarok does well. Admit it: you thought he’d be near the top didn’t you? Instead, Bruce Wayne has to settle for 5th place despite having some huge movies under his belt: The Dark Knight earned £775m worldwide, The Dark Knight Rises £815m and Dawn of Justice £656m. Even his older films pulled in decent figures. Beating Brucey by a cool £400 million, Spider-Man is the most consistent box office draw in this post. All of his films have earned more than £500 million worldwide, although his most popular film is actually Captain America: Civil War (with Spider-Man 3 second with £669 million). If Sony and Marvel had worked out a deal for him to appear alongside The Avengers sooner, there’s no doubt Spidey would top this list. Even though he had a slow start with The First Avenger, which is the second lowest grossing Marvel movie of them all (just ahead of The Incredible Hulk), Captain America has fought his way back to become the 3rd highest grossing superhero ever. 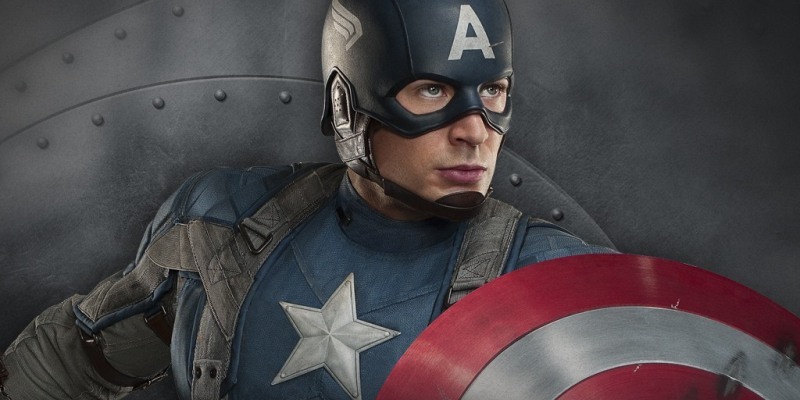 As well as appearing in The Avengers, the brilliant The Winter Soldier (arguably the best solo Marvel movie) earned over £500 million worldwide while Captain America: Civil War (which is out now on DVD and Blu-Ray) earned over £866 million and is currently the highest grossing movie of 2016. Despite not having a solo movie, Scarlett Johansson’s Black Widow is the second highest grossing superhero. Her appearances in both Avengers movies and Captain America: Civil War are responsible for most of her box office earnings, although co-starring roles in Iron Man 2 and Captain America: The Winter Soldier earned nearly £1 billion worldwide too. Who else? Iron Man was the unexpectedly brilliant origin of the Marvel Cinematic Universe, with Robert Downey Jr’s Tony Stark arguably kicking off the current superhero craze. His box office earnings only went up from there, with his third solo effort earning over £900 million worldwide. Iron Man’s appearances in the next two Avengers films should secure his top slot for a few years yet. You can find all of the movies in this post on the musicMagpie Store, with amazing prices and FREE delivery on all orders! If you need to make some space in your movie collection, or just need some cash, sell DVDs for CASH with musicMagpie. It’s fast, easy and FREE!